Entries from Digital Intelligence tagged with "publicis"
French ad giant Publicis has bought marketing services company Epsilon for around $4.4bn, in a move that will help its clients better personalise their advertising. 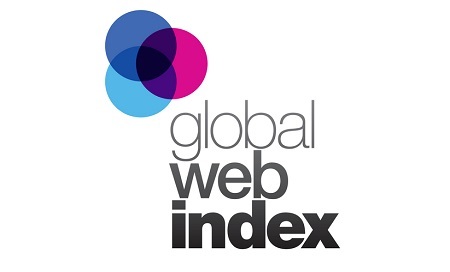 Audience profiling company GlobalWebIndex has formed a strategic partnership with Publicis Media to support the company’s global strategic planning and measurement practices via its proprietary PACE panel. Is Cannes Lions becoming too big for its own good? As the festival closes for another year, ad giant Publicis Groupe shocked the marketing world by declaring it would pull out of the event next year. Publicis has bought US consultancy group Sapient, as the France-based global ad giant looks to expand into the US and moves on from its failed merger with Omnicom. Publicis Groupe and Adobe have struck a strategic partnership to deliver a marketing management platform that automates and connects all components of a client’s marketing efforts. Publicis-Omnicom $35bn merger collapses- win for WPP? In a boost to rival WPP, the $35bn (£20bn) merger of Publicis and Omnicon to create the world's biggest advertising company has collapsed, the companies have confirmed. Publicis has bought Poke, a London-based agency, as the French advertising giant continues its expansion after a proposed merger with Omicom. Marketing giant WPP is aiming to generate 5-40% of its business from digital sources and fast-growth markets, chief executive Martin Sorrell has announced. France's Publicis and America's Omnicom have merged to create a marketing company bigger than WPP, vowing to take on Google in the battle for online ad revenues. Twitter has secured a sponsorship deal with Publicis’ Starcom MediaVest Group (SMG), in a deal that could be worth several hundred million dollars in extra ad revenue for the social network. US-based agency Digitas is merging with Dutch agency LBi, as parent company Publicis looks to consolidate its global digital marketing network. Publicis has bought Dutch ad agency LBi International for €416m, as the French marketing giant continues on the acquisition trail to boost its digital advertising reach. The deal follows a spate of mergers and acquisitions amongst agencies as larger groups buy up the few remaining faster growing digitally-focused smaller shops. Back in June, Martin Sorrell's advertising giant WPP bought digital agency AKQA, while in July, Japanese ad giant Dentsu agreed to buy marketing group Aegis. France Télécom-Orange and the Publicis Groupe advertising business are planning to launch a new venture capital fund. The fund - which is starting with a 150 million Euro (£129 million) investment from the two companies - will help budding entrepreneurs in Europe’s digital economy. Publicis Groupe has acquired UK agency Kitcatt Nohr, as the French digital marketing network giant looks to expand its reach. Kitcatt Nohr will be merged with Digitas in the UK, creating a new agency, Kitcatt Nohr Digitas, which will be part of VivaKi. Under the new deal, Kitcatt Nohr Digitas services to clients will now include: full creative services, media planning and ideation, technology and innovation, specialised skills in digital marketing, brand communications, CRM, content and social media.